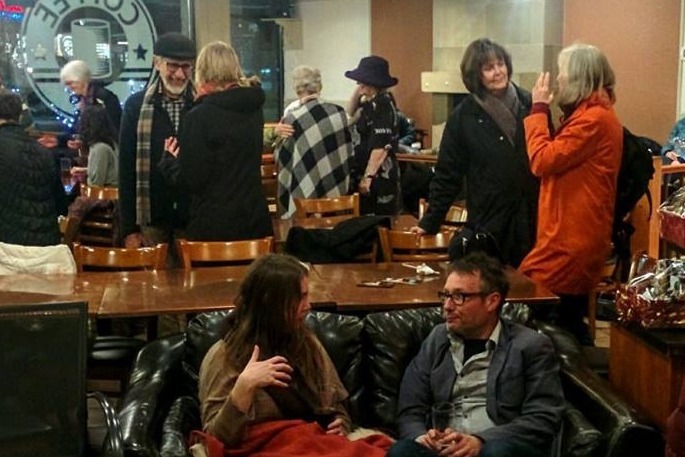 Planet Earth Poetry (PEP) has been a beloved part of the Canadian poetry scene for 23 years. PEP is a weekly reading series hosting upwards of 60 feature readers in a season (September to August) and has had over 100 different poets read at the Open Mic. Our average Friday night audience is 40-45 people, depending on the feature readers and time of year. Our audience has been exposed to some of the best writing in Canada, as well as to occasional international writers, and heard poetry from diverse social and cultural contexts. Planet Earth Poetry is more than a reading series: it's a community. 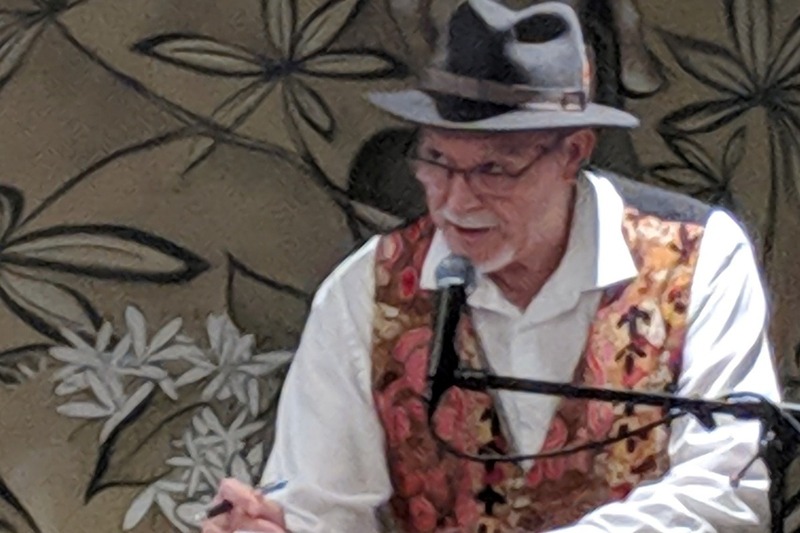 Poets young and old, novice and established, have found others at PEP who encourage their development, welcome them to critique groups, connect them to editors and support the development of their writing craft. PEP draws out closet poets first as listeners, and then as readers of their own writing. Check out our website for more information on PEP and to see our past and upcoming readers. However, for the first time in 15 years, we have received no funding from the Canada Council for the arts. In the last 2 years, the Canada Council has restructured their granting system and streamlined their programs. As a consequence, it appears that Planet Earth Poetry, as well as a number of reading series across the country, have not been funded. This is a real problem, not only for PEP, but for the visiting poets, who rely on reading series for opportunities to present their work, sell books, and be paid for public readings. 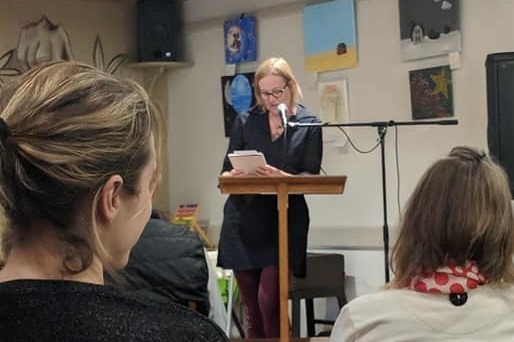 In addition, reading series like ours offer extensive Open Mic time that allows writers to test new work and gives less experienced writers a chance to air their poetry, receive a public response and begin to receive critical feedback and support for their work. Now, with our feet already firmly planted in our 23rd season, our main source of funding has been withdrawn. We are determined to continue to offer brilliant poetry on a weekly basis, pay our featured poets, and encourage our open mic readers. We can do this! But we need your help. We're asking our wonderful community here on Vancouver Island, and across Canada, to chip in and help us keep afloat this year until we can find another longer-term funding source. Our campaign goal reflects the amount of funding we will need to make it through the rest of our 23rd season without reducing the number of readings we offer. Thank you, everyone, for taking the time to support PEP. We deeply appreciate every donation! If you want to help but can't manage a monetary donation at the moment, please take a moment to spread the word among your friends and connections! Sharing this campaign as widely as possible will also make a huge difference. Hello wonderful PEP supporters! Thanks to your generous donations to our Go Fund Me campaign and our Sponsor a Poet initiative, we are much closer to our goal of fully funding season 23 of Planet Earth Poetry. What a fantastic outpouring of support from the community! We are so touched and heartened to know that the work we do at PEP is valued and supported by lovers of poetry near and far. It's been a fantastic season so far, and we have more great poets to come throughout the next few months! We are making progress in our search for alternative funding sources, as well as putting together another application to Canada Council, but in the mean time we still do have a funding shortfall to overcome. Please share this campaign widely in any appropriate forums you can think of! Remember, helping us spread the word is just as important in its own way as donating! Thanks again, and stay tuned for further developments! It was great to see so many people at last Friday's PEP! Thanks so much to the wonderful Lorna Crozier for a great reading, and for allowing us to film parts of the evening. It was so energizing to feel everyone's enthusiasm for poetry and support for PEP. Thanks poets! Let's keep the momentum going! Remember, we love donations but a signal boost is also enormously helpful so please share widely!